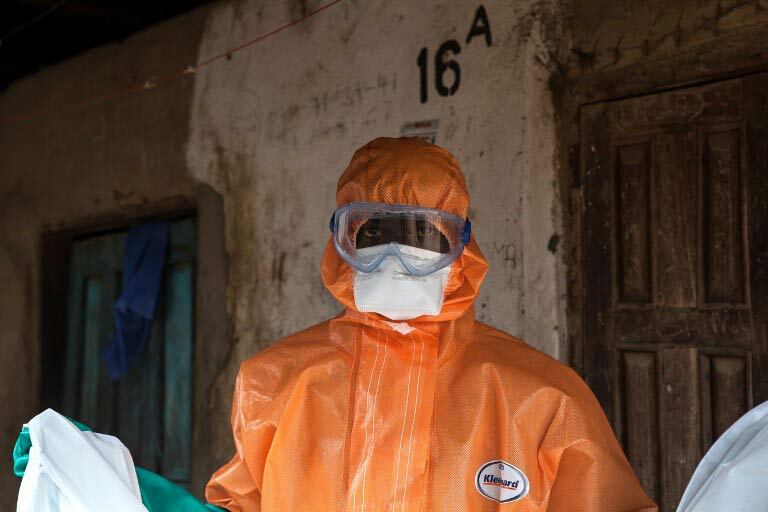 Sierra Leone has ordered the quarantine “with immediate effect” of three districts and 12 tribal chiefdoms – affecting more than one million people – in the largest lockdown in west Africa’s deadly Ebola outbreak. President Ernest Bai Koroma, in a national televised address late on Wednesday, announced that the northern districts of Port Loko and Bombali were to be closed off along with the southern district of Moyamba – effectively sealing off around 1.2-million people. With the eastern districts of Kenema and Kailahun already under quarantine, more than a third of the population of six million, in five of the nation’s 14 districts, now finds itself unable to move freely. The deadliest Ebola epidemic on record has infected almost 6 000 people in west Africa and killed nearly half of them, according to the World Health Organisation’s latest figures. The virus can fell its victims within days, causing rampant fever, severe muscle pain, vomiting, diarrhoea and — in many cases — unstoppable internal and external bleeding. 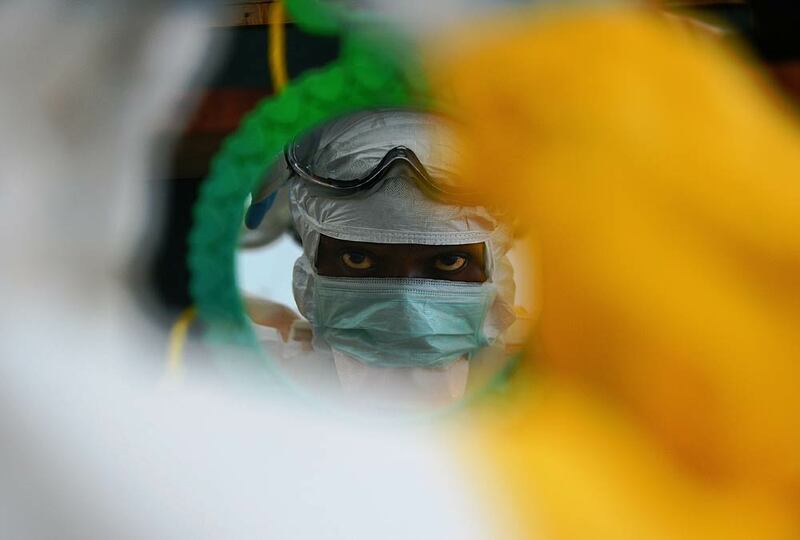 In Sierra Leone, Ebola has infected 1 813 people, killing 593, by the WHO count. Koroma said that 12 of the county’s 149 tribal chiefdoms – much smaller administrative areas than districts – were also to be placed in quarantine. The total population in these areas was not immediately clear. The president said corridors for travel to and from non-quarantined areas had been established but would only operate between 9:00 am and 5pm. “The Ministry of Health and Sanitation and the emergency operation centre will establish additional holding centres in the quarantined chiefdoms,” Koroma said. Sierra Leone announced on Wednesday that around 100 bodies and 200 patients had been collected from homes during a nationwide three-day lockdown and house-to-house information campaign which ended on Sunday. “To sustain our efforts in overcoming the challenges that were further revealed during the house-to-house campaign and in consultation with our partners – and in line with our people’s avowed commitment to support extra measures to end the Ebola outbreak – the government decided to institute these further measures,” Koroma added. The WHO said earlier this week 5 864 people had been infected since the virus first emerged in southern Guinea in December, and that 2 811 had died. In Liberia, which has been hit hardest by the outbreak, 3 022 people have been infected and 1 578 have died while in Guinea, Ebola has infected 1 008 people, killing 632. 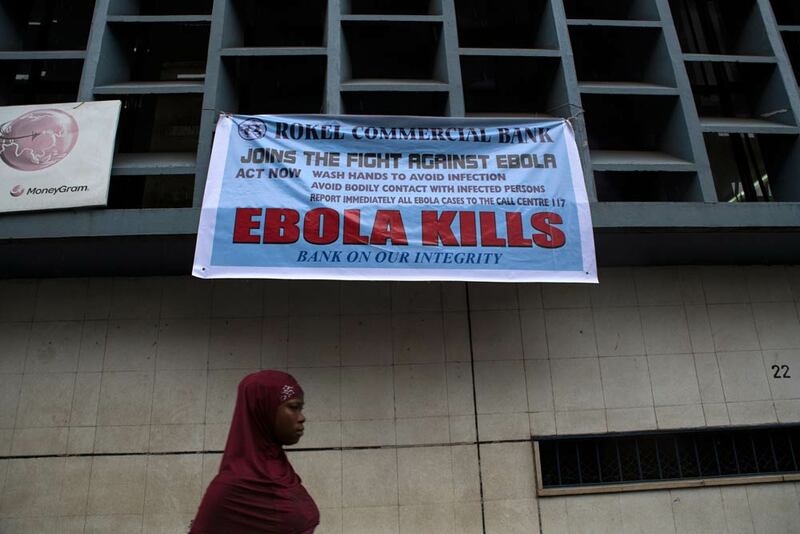 Nigeria has recorded 20 cases, including eight deaths, since the virus first arrived in the country with a Liberian finance ministry official, who died in Lagos on July 25. Guinea’s President Alpha Conde and cabinet ministers from Liberia and Sierra Leone were due to attend a meeting in New York on Ebola convened by United Nations Secretary-General Ban Ki-moon later Thursday. The meeting – part of the United Nations General Assembly – will hear from US President Barack Obama and world leaders are expected to pledge help for efforts to try to contain the spread of the virus. Nigerian President Goodluck Jonathan appeared to jump the gun on medical advice at home on Wednesday to tell an applauding UN that Nigeria was free of Ebola. “We can confidently say that today Nigeria is Ebola free,” Jonathan told the largest diplomatic gathering in the world to a ripple of applause in New York. “Nigeria is Ebola free,” he said a second time to further applause. Doctors said earlier they would have to wait to declare the outbreak over despite the Nigerian federal health ministry saying all patients being monitored for the virus had been cleared. The worst-ever outbreak of the Ebola virus is taking a heavy toll on West Africa’s economy as crops rot in the fields, mines are abandoned and goods cannot get to market. The epidemic has ravaged the region since it erupted in the forests in the south of Guinea earlier this year, killing 1 427 people and infecting thousands more. On Friday health officials said the fever had spread to every corner of Liberia, the worst-hit country in the grip of the epidemic where 624 people have died so far. But beyond the mounting death toll, the disease is also undermining the region’s economic growth and threatening the long-term development of some of the world’s poorest countries. “It is a total catastrophe. We are losing lots of money,” said Alhaji Bamogo, who sells clothes in the market in the Liberian capital Monrovia. 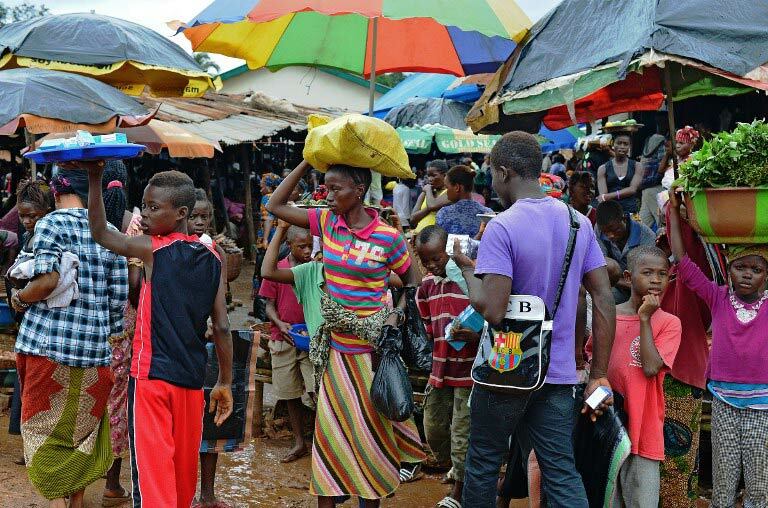 “All those who are coming to the market come only to buy food or products for the disinfection of Ebola,” he said. Across the resource-rich countries of Liberia, Sierra Leone, Guinea and Nigeria, companies are suspending operations due to fears of the haemorrhagic fever, which is spread through contact with bodily fluids. Steel giant ArcelorMittal this month said the contractors at its expanding iron ore works in Liberia had suspended operations and were pulling out staff. Several international airlines have halted their flights to west Africa in a move that Moody’s ratings agency warns “will exact an economic toll” on the region. And in Nigeria, Africa’s top oil producer and most populous country where 15 cases have been identified and five people have died, experts warn that the impact for the regional economy could be dire if the disease takes hold. “The Ebola epidemic is not just a public health crisis, but an economic crisis… affecting many sectors of activity,” the president of the African Development Bank, Donald Kaberuka warned this month. Philippe Hugon, Africa research director at the French think-tank IRIS, said the biggest threat for west Africa is a long-term pullout of global companies that the region relies on. “Everything depends on whether this stays limited or whether the epidemic continues to spread in a prolonged way. The heads of foreign businesses on the ground are very concerned,” he said. The epidemic may “reinforce the idea that Guinea, Sierra Leone and Liberia are countries where it is dangerous to live — because of diseases like Ebola and AIDS — and thus to invest in,” he said. The disease is also exacting a direct economic toll on the countries where it is spreading by sapping already stretched government budgets. Moody’s warned it will squeeze state coffers from all sides, by forcing both “increased health expenditures, and… an Ebola-induced economic slowdown on government revenue generation”. This month the African Development Bank pledged $60 million to support the over-stretched health systems of the four affected countries. Critics have accused west Africa’s governments of being slow to admit the extent of the problem because of the cost of deploying resources to fight the disease. Amadou Soumah, a trade union official in Guinea, which only last week declared a national emergency despite being at the epicentre of the outbreak earlier this year, said the government had played down the crisis “to stop investors fleeing”. And now “Guinea is going to deploy its forces along the border to rack up even more spending,” he added, referring to the closure of its frontiers with Liberia and Sierra Leone. For people on the ground, the epidemic has created an even more pressing problem: food shortages. In the markets, supplies of staple commodities such as rice are already dwindling, with only the bravest traders willing to venture far afield to buy stocks. In quarantined zones in Sierra Leone and Liberia, key cash crops such as cocoa and coffee have been left rotting in the fields as farmers fear to stray far from home. “People are going to move around less and less,” said Philippe De Vreyer, a specialist in west African economics and professor at the University of Paris. In Nigeria, even though it is the least hit by the epidemic, Ebola fears are already keeping people indoors. So far the epidemic has not threatened the economically vital oil industry, which is centred in the southern Niger Delta about 1 000 kilometres from Lagos, where the cases have been found. The service industry is feeling the effects, however. “Bookings to hotels have dropped by almost 30 percent so far this month, as have orders for food and drink for large social gatherings like weddings and funerals,” said Bismarck Rewane, head of the Lagos-based Financial Derivatives Company.